At 10am yesterday, my eight-year-old nephew was the first person to enter At-Bristol. For the fleetest of moments, he had the whole, magical place to himself. The expression on his face was one of awe, but also faint panic. As a child with ADHD, being presented with limitless possibilities can be daunting. Swiftly he focussed on his favourite exhibit and we hurried over to feed a skeleton and watch his energy levels rise and fall. 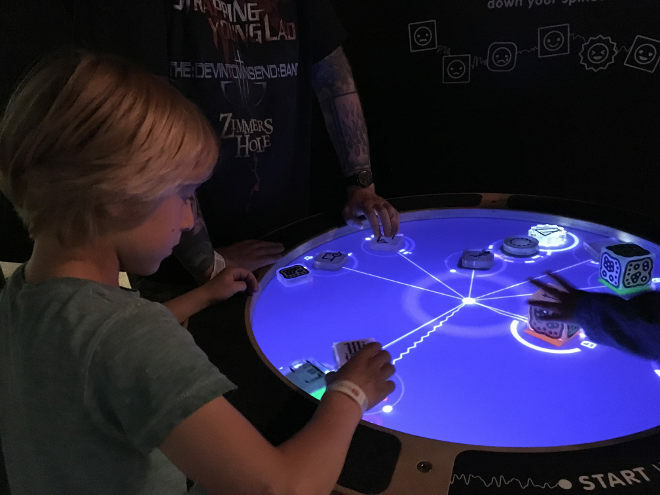 This is just one of countless interactive exhibits at the Bristol hands-on science centre, and before long we were moving on to listen to music through our teeth, play with pint-sized parachutes, and test our reflexes in countless ways, as rain drenched Millennium Square beyond the plate glass windows. 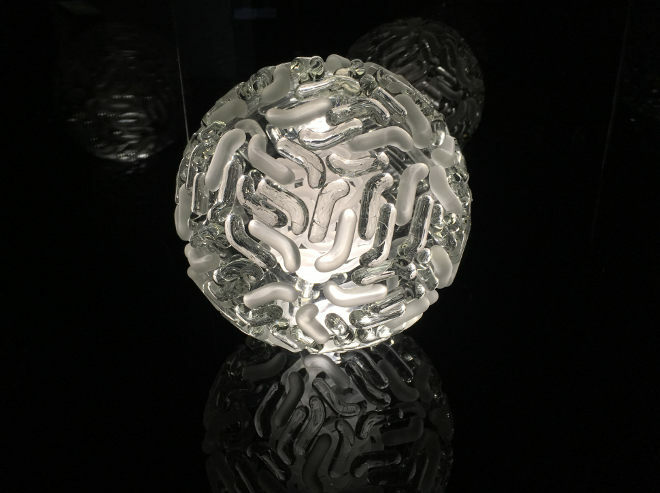 I crept way for a few moments to take in Luke Jerram’s stunning Glass Microbiology exhibit – breathe in a moment’s peace among the viruses sculpted in glass and head back out into the mayhem where my husband was helping the nephew milk a pretend cow. 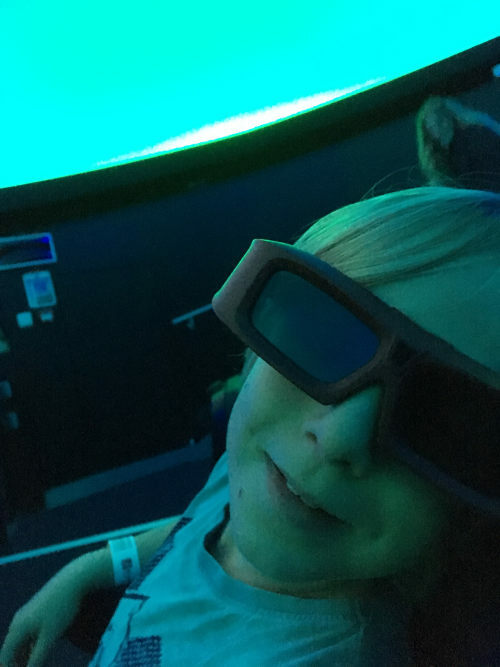 We’d deliberately timetabled in a couple of shows in the Planetarium to allow the nephew and ourselves a bit of quiet time. I’m also partial to a bit of space travel, and the 3D shows offer a sense of swooping through the solar system. We visited Venus (too hot, very stormy, not the best place for a holiday), and Saturn’s Rings (too cold, but very beautiful), before swooping back to Earth (just right, and the most beautiful of all). We spent time on Mars and Pluto, and learnt about atmosphere, gas giants and that Neptune is the most glorious shade of blue. 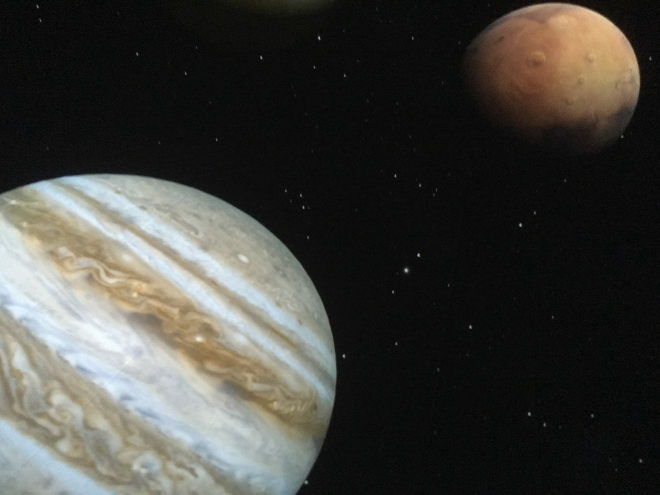 The Planetarium is also on the floor with some of the most engaging displays, in my opinion. The Aardman area animation is ideal for children and adults who like to doodle, while an impressive wind drum provided the chance to build structures to mimic a sycamore seeds spin. We discovered the cause of the Bermuda Triangle’s many ship disappearances, and entered a tilted room where perspective skewed in a pretty magical way. Elsewhere the nephew devoted himself to building roadways for plastic balls, spun metal disks and proved himself to be impressively adept at creating bubbles within bubbles within bubbles. Just watching him get to grips with his surroundings was a masterclass in harnessing a fizzing mind to gain the most rewarding experience possible. Exiting the science centre into sunshine, the research continued as we headed up to College Green and discovered the tree full of shoes (close to the cathedral, in case you’d like to see it for yourself), met a shy juggler (the nephew’s many questions seemed to alarm him somewhat!) and discovered that it’s possible to skim pennies on the water surrounding the fountain – four skips across the surface from one side to the other. 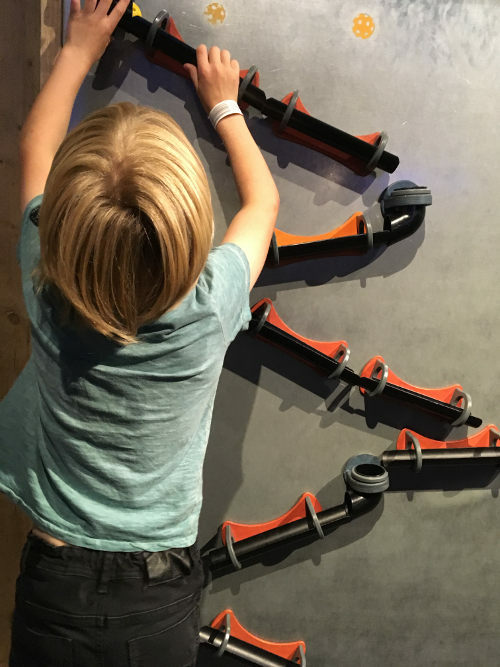 At-Bristol is a marvel for curious minds, giving adults a way to access their own inquisitive side and nourishing children’s natural sense of wonder. The clamour and chaos is all part of the mix, but if you get in tune with that, you’ll emerge prepared to reinvent the world. Find out more about At-Bristol. This entry was posted in Reviews and tagged adventures, Ar-Bristol, child-friendly, creativity, inspiration by Judy. Bookmark the permalink.